Which Sci-Fi Movie Swept The Razzie Awards? Which Of These Performers Has An Album Cover Created With A Game Boy? The Razzies are a mock-award given out at the same time as the Oscars; they serve as a sort of anti-Oscar with categories like Worst Director, Worst Actor, and so on. For the 21st annual Razzie Awards in 2001, a single movie swept the award show. 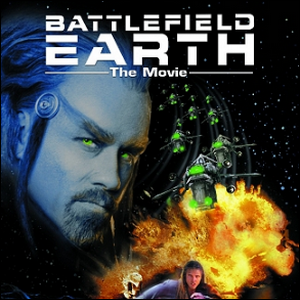 Jon Travolta’s Battlefield Earth adaptation won the Razzie for Worst Picture, Actor, Screen Couple, Supporting Actor, Supporting Actress, Director, and Screenplay.